Mumbai, (Aug 31, 2015) Infinite Analytics, a company out of MIT, received funding from Ratan Tata to expand its state-of-the-art predictive analytics technology to verticals beyond retail and e-commerce. Existing investors like Nikhil Vora of Sixth Sense Ventures and new investors from Silicon Valley and India have also participated in this round. The company already works with customers including AirBnB, Comcast, B2W Digital, BabyOye, Croma Retail, eBay, Future Group, Infibeam, NBA, NDTV Retail, Trendin, Tata Marketplace amongst many others. and will use the additional investment to beef up hiring, scale up in current verticals and to explore newer verticals. The company was born in an MIT class of Sir Tim Berners-Lee, inventor of the World Wide Web. Since its inception in 2012, Infinite Analytics has raised a seed round from various investors across the globe in Australia, Taiwan, India, UK and the USA. It is also backed by Sir Tim Berners-Lee and Deb Roy, Chief Media Scientist at Twitter, who are advisors and investors in the company. Infinite Analytics is a company founded out of MIT that specializes in Deep Machine Learning and Predictive Analytics. Their Analytics Platform merges data from multiple sources (customer demographic data, transactions data, loyalty program data, third party data, open data) to create a 360-degree view of the user. Their NLP, Semantic and Predictive Analytics Algorithms detect and predict patterns in the merged data with the end goal of increasing revenues for clients. 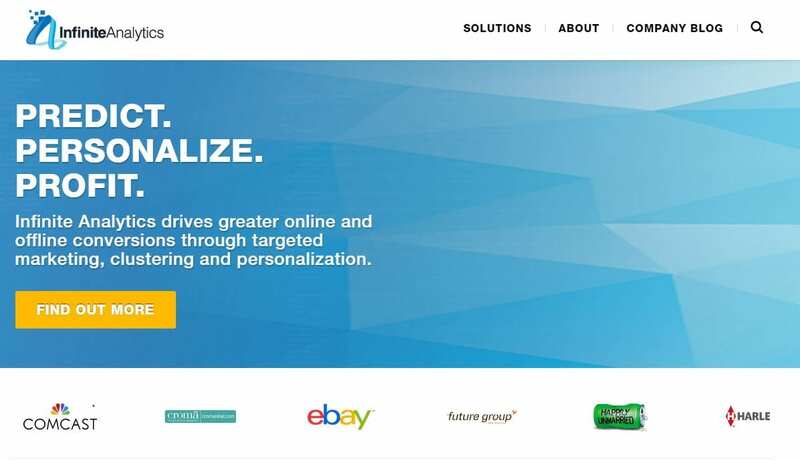 Their clients include some of the biggest names in Retail and E-Commerce worldwide like AirBnB, Comcast, B2W Digital, BabyOye, Croma Retail, eBay, Future Group, Infibeam, NBA, NDTV Retail, Trendin amongst many others. Infinite Analytics has a super team from MIT with backgrounds in e-commerce, technology, data analytics, cognitive sciences, particle physics and image recognition, along with super advisors in Sir Tim Berners-Lee – the inventor of the World Wide Web, Deb Roy – Chief Media Scientist at Twitter, Erik Brynjolfsson – Director of Center for Digital Business at MIT, and Rosemary Leith – Director of World Wide Web Foundation.